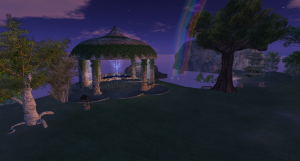 The Science Circle maintains an OpenSim based grid for more than 7 years now. We have 6 regions, the WelcomeZone, Gaia and the sandbox for our builders and scripters, a varregion and some member regions. Voice, Groups, Profiles, Hypergrid are working and stable. The grid runs on OpenSim 0.9.0.0. It is also possible to connect your own simulator region to the Science Circle grid. Please contact me for the required details! If you like to visit the grid follow the instructions below. 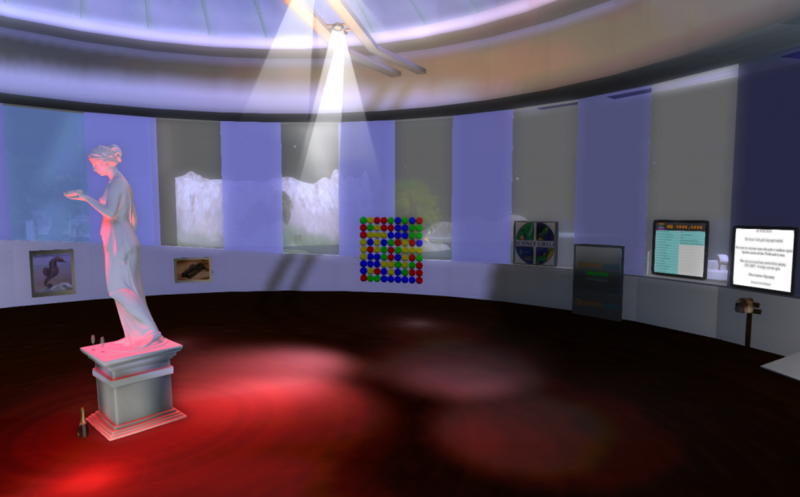 To access the Science Circle grid you need to download an OpenSim capable viewer like FireStorm. You can get a free copy here. 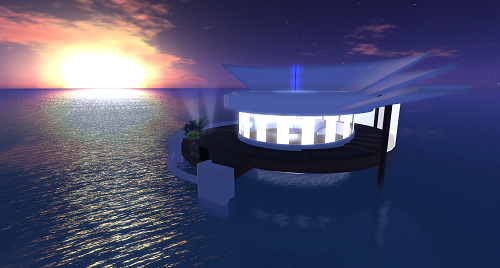 http://www.firestormviewer.org/downloads/ Make sure you select the SL & Opensim version! 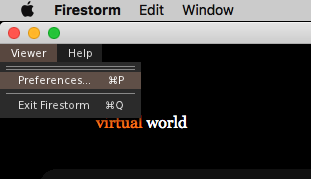 When installed start the viewer and select “viewer”> “preferences”. 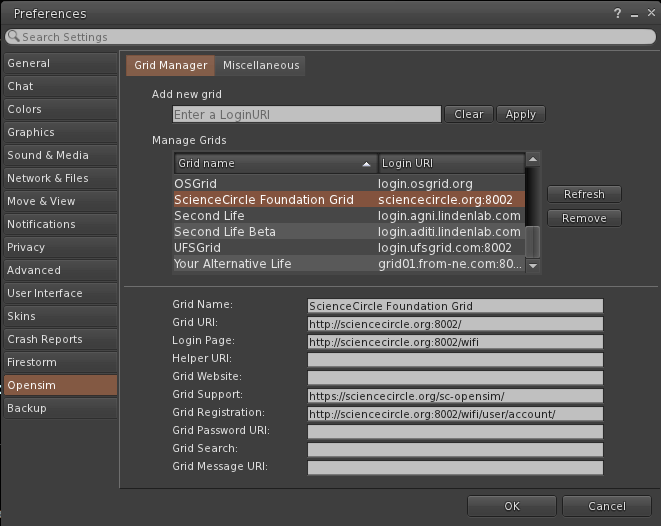 In the grid manager fill in the address of the grid and click “apply”. All needed information will be retrieved from the gridserver. You now should see the Science Circle grid among the other OpenSim grids. Note! If you like the interface you can also use this viewer for Secondlife. When you have installed and configured the viewer it is time to make an account that will give you access to the grid. 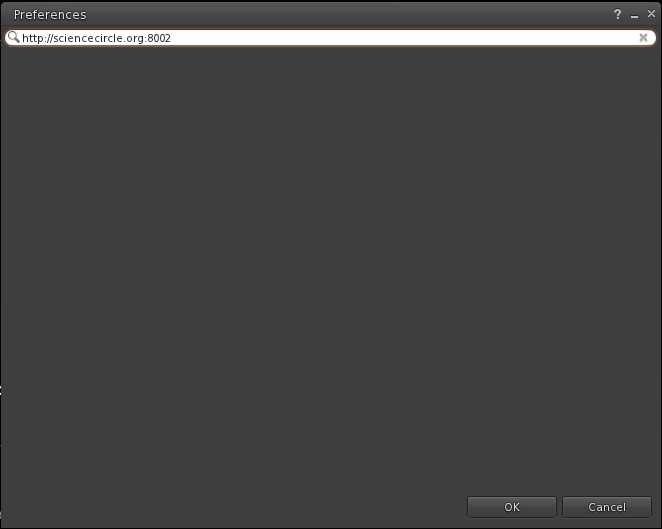 Now start up the viewer, select the “ScienceCircle Foundation Grid” and fill in your username and password to login. Welcome to the grid, if there are any questions or you need some support contact me, have fun! There seems to be a bug that causes the email function to fail. For password resets please email!